It's the 1st of October and that means it's time to start decking the halls with all things wicked and spooky! 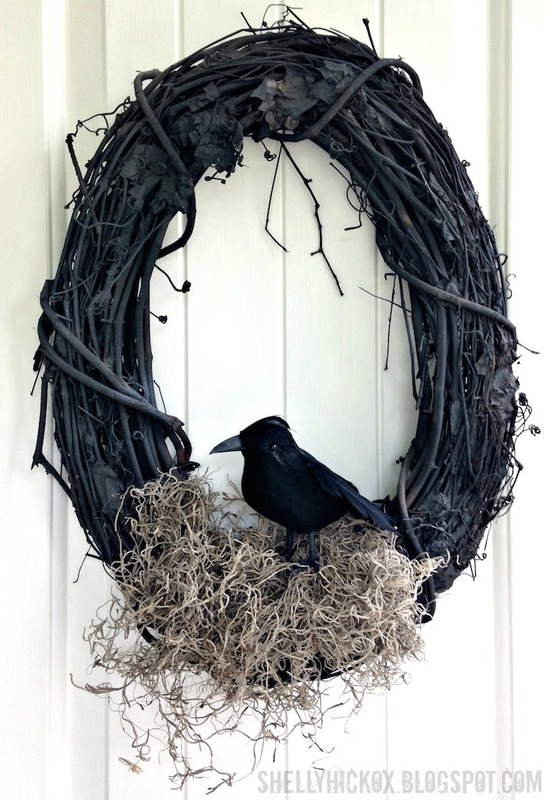 A few weeks ago I was browsing through the Williams-Sonoma website and saw a gorgeous grapevine wreath with a crow on it. I fell in love with it, but when I saw the price, I was stunned - $70! Since it's such a simple wreath made with readily available materials, I decided to take a trip to the dollar store and make one of my own. The WS wreath is round, but when I spotted this oval shape at Michaels, I fell in love with it! To create the base, I lightly misted it with grey and black spray paint. When the paint was dry, I adhered Spanish moss from the dollar store. 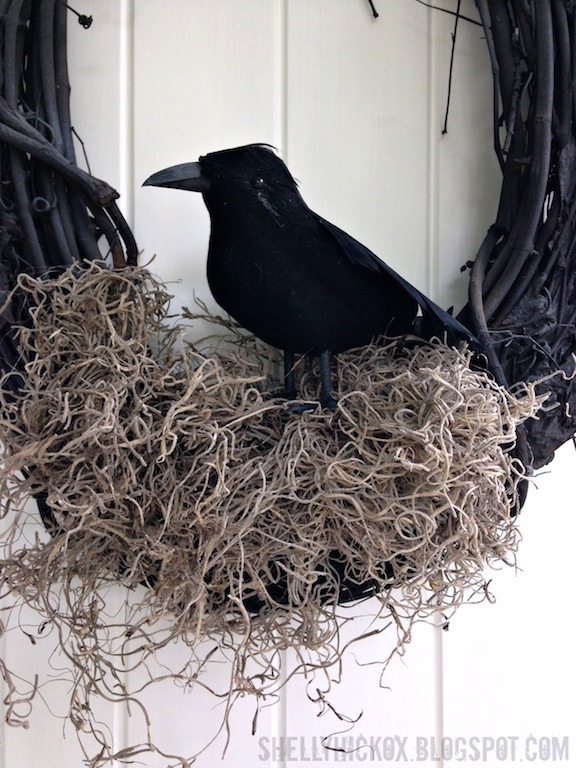 Finally, I hot glued a dollar store crow to the moss. That's it! Almost silly to even write a tutorial for this! The Williams-Sonoma version has a fancier crow, but for a savings of over $60, I think this one is just fine!